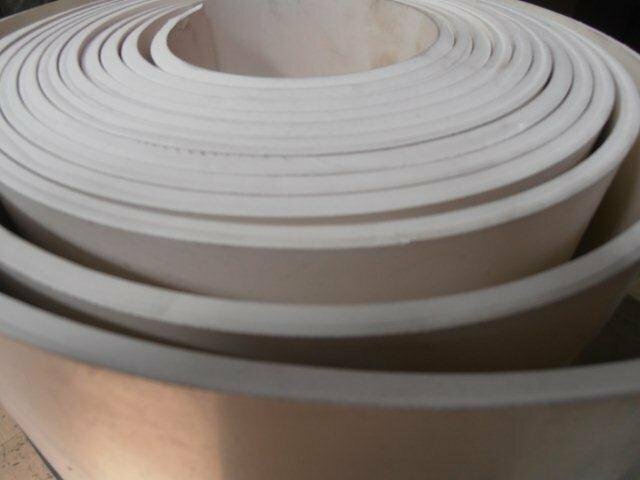 White Food Grade rubber is a high quality natural rubber sheeting with a shore hardness of 60 deg (shore A) and is suitable for medium temperature applications. The component parts used and maximum levels in compound mixtures are in accordance with FDA [Food & Drug Administration -Department of Health and Human Services] part 177 – indirect food additives section 177.2600 – rubber articles for repeated use. This item has 102 views.